Rock and roll while looking just like Elvis! 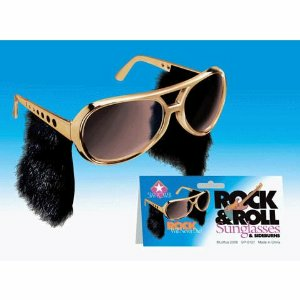 These stylish sunglasses even have those infamous side burns attached! Let people complement how much you look like Elvis. "Thank you. Thank you very much."